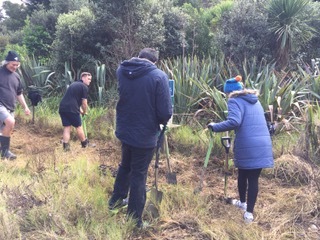 We had our best turn-out ever at the planting day held on Sunday, 5 August, thanks to the power of social media. 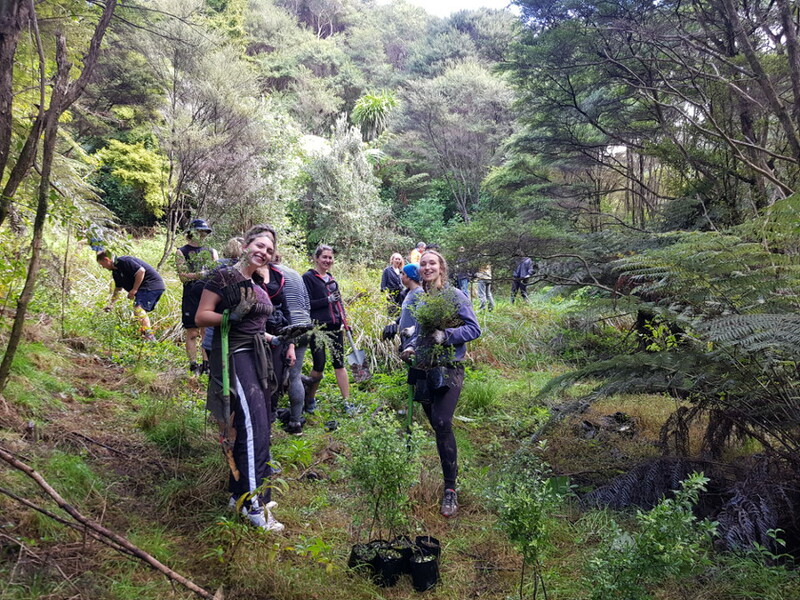 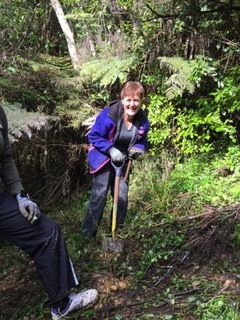 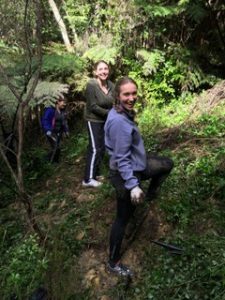 Friends and family, including our regular LHVS members, responded to our request for help to plant the trees donated by Paremoremo nursery and we ended up with 30 volunteers; including 2 key people with experience in bush restoration. 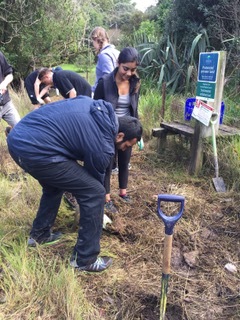 Our volunteers included two PhD students from the Maldives and Sri Lanka and another Masters student in Marine Biology. In 2 hours we had planted over 500 plants. 100 saltmarsh ribbon wood shrubs were planted around the fenceline. 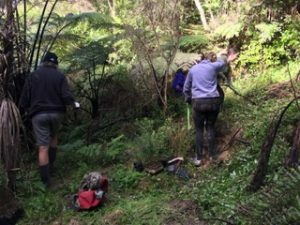 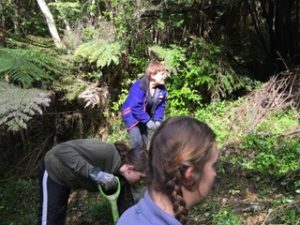 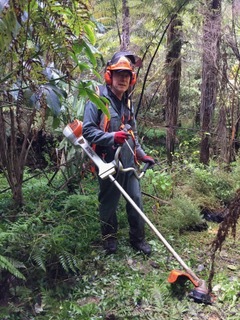 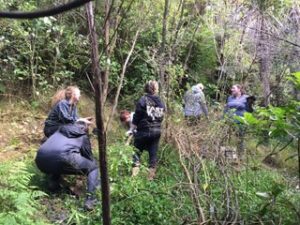 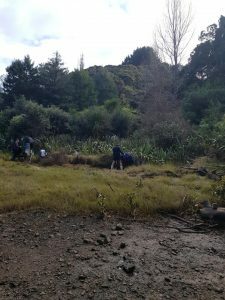 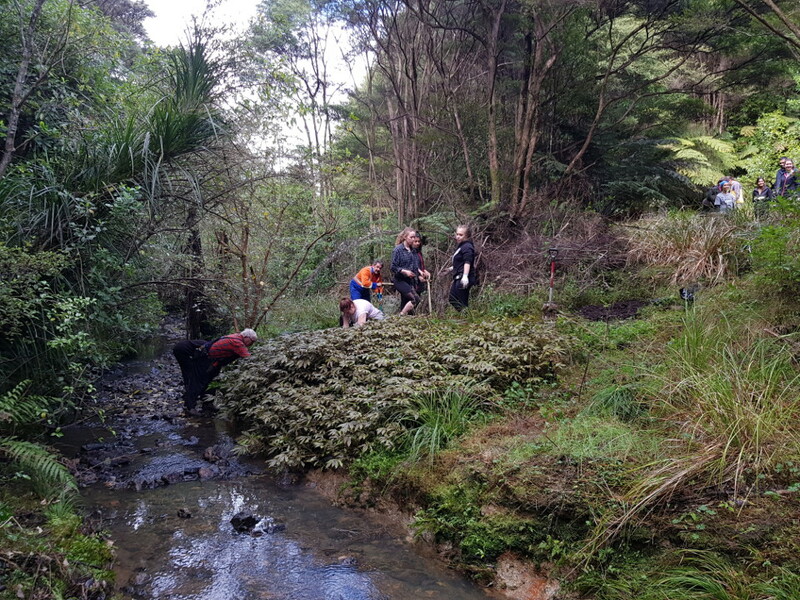 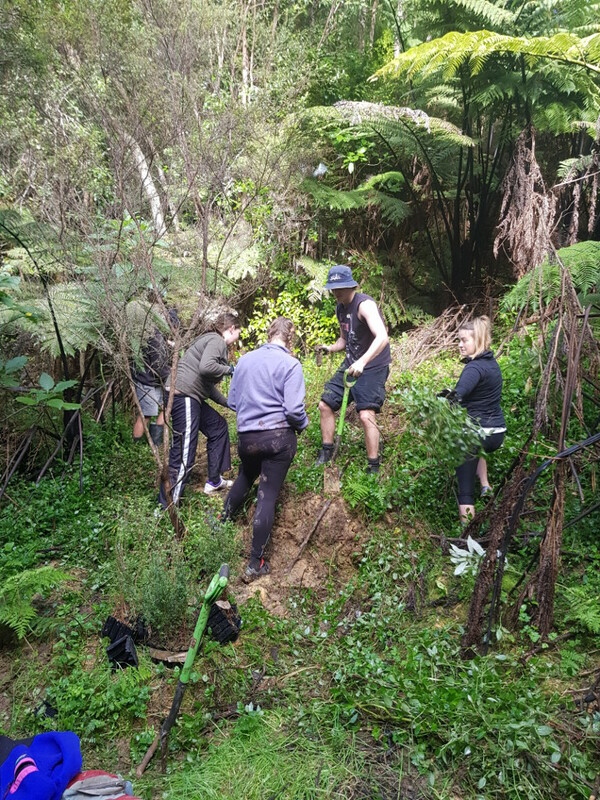 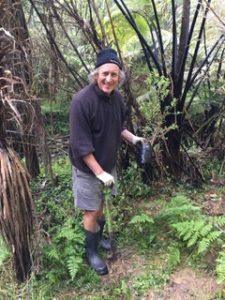 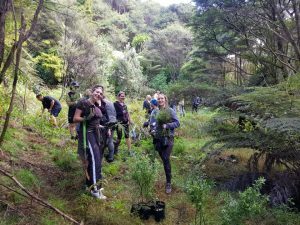 Cabbage trees and manuka were planted in the lower wetland area and further upstream along with pittosporum. While we need to perfect our catering skills for large crowds, everyone seemed to enjoy the lunch of wood fired pizza and home baking. Many thanks to Paremoremo nursery for contributing these plants. This entry was posted in Uncategorized on August 5, 2018 by bru.